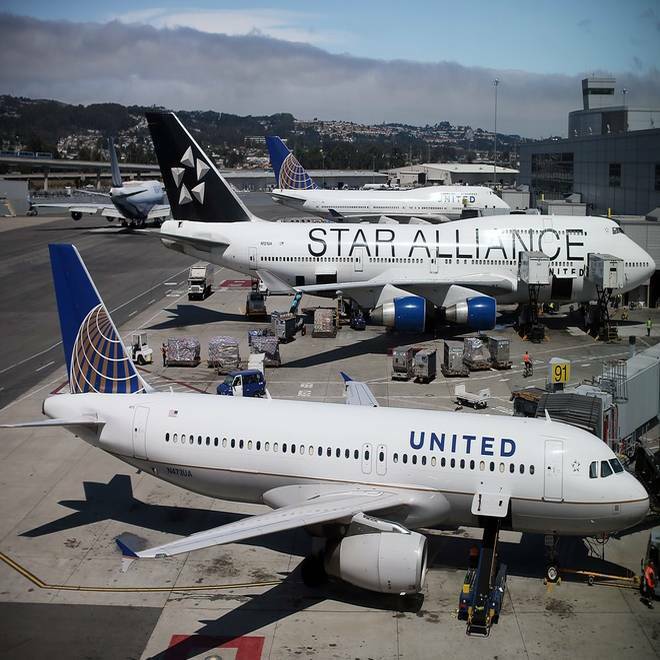 In June, United Airlines posted the lowest on-time performance among major U.S. carriers (70.1 percent) and also accounted for 43 percent of the 1,353 consumer complaints registered with the Department of Transportation. Ah, summer — the time of year for beaches, barbecues and complaining about the circle of hell more commonly known as air travel. There’s still time to savor the sun, sand and steaks but when the subject turns to the hassles of air travel, travelers may want to count their blessings instead. Sporadic weather disruptions aside, this summer has been pleasantly devoid of the usual seasonal snafus. So why are passenger complaints soaring? In June, travelers lodged 1,353 complaints about U.S. airlines with the Department of Transportation (DOT), an increase of 44 percent over both the previous month and the year before. On-time performance for the nation’s top 15 airlines was 80.7 percent (defined as within 15 minutes of scheduled arrival), up from 76.9 percent last year, marking the ninth consecutive year-over-year improvement. Those airlines lost or otherwise mishandled 3.35 bags per 1,000 enplaned passengers, the 13th consecutive year-over-year improvement and the best June performance since DOT began keeping records in 1988. There were no extended tarmac delays among U.S. airlines, one among foreign carriers and relatively few cancellations. According to DOT, 1.1 percent of flights were canceled during the month, up from 0.9 percent in May but down from 1.8 percent in June 2011. “Thanks to systemic operational improvements, mild weather and 20 percent fewer flights from five years ago, customers are benefiting as airlines continue to set impressive on-time arrival records and dramatically reduce lengthy delays,” said Steve Lott, spokesman for Airlines for America, a trade group for U.S. airlines. Among those system improvements, Lott cited newer, more reliable planes; improved boarding procedures; better coordination with ground crews; and schedules that more accurately reflect the realities of the air traffic control system. At the same time, there are fewer planes in the sky and fewer passengers transiting the nation’s airports, which has taken some stress off the system (if not off travelers) and minimized the cascading effects of service interruptions of years’ past. In fact, according to OAG, which compiles flight schedules, North American carriers will offer 950,083 fewer seats this August compared to last year and 21,401 fewer flights. Year-to-date, the number of scheduled flights is down 2 percent, resulting in the lowest August level for 10 years, says the company. Weather, too, has helped as no hurricanes have hit U.S. shores; system-crippling thunderstorms remain the exception and dry weather blankets much of the country. So if things are so good, why are fliers so unhappy? Beyond the usual suspects — high fares, full planes, fees for everything beyond a seatbelt and oxygen mask — experts point to the turmoil inherent in a complex industry where several major players are trying to merge fleets, computer systems and labor groups. “One airline is toward the end of its merger, one is in the middle of a merger, one is in the early stages of a merger — and one is in bankruptcy, said Jonathan Kletzel, U.S. Transportation and Logistics Advisory Leader for PwC. Case in point: United Airlines, which continues to struggle in the months since its less-than-stellar integration of merger-partner Continental. In June, the carrier not only posted the lowest on-time performance among major U.S. carriers (70.1 percent) but also accounted for 43 percent (585) of the 1,353 consumer complaints registered with DOT. That’s not surprising, says David VanAmburg, managing director for ACSI, as satisfaction with specific carriers typically takes a dip during mergers. Delta, for example, “took a big dive” after its merger with Northwest but has since “recovered nicely,” he said. And there are signs that the industry as a whole is improving its standing with travelers, albeit from a level that’s never been particularly impressive. Rob Lovitt is a longtime travel writer who still believes the journey is as important as the destination. Follow him at Twitter.